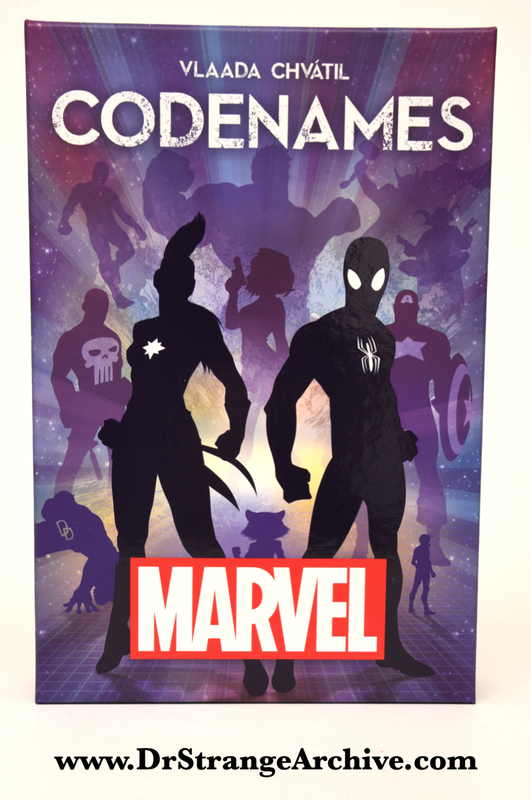 Description: This is a game box for the Marvel Codename card game. Dr. Strange appears on the front of the box in the top right corner and on several cards inside the box.